Always the right prescription for a smile, the Doctor Duck makes a great addition to any plush collection. 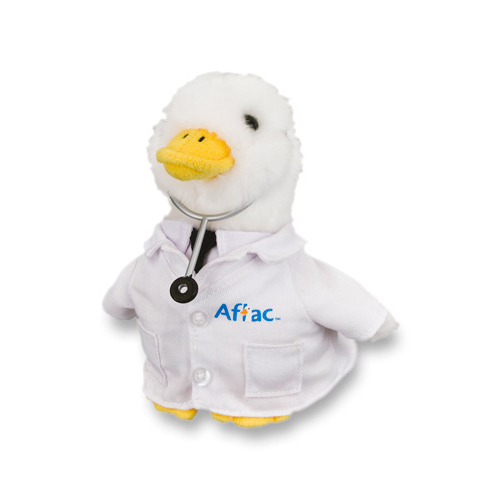 Wearing its physician’s coat that includes the Aflac logo, the six-inch duck sports a plastic stethoscope around its neck. Perfect for snuggling, this little duck loves to be hugged and quacks “Aflac” when squeezed. Constructed of top-quality plush materials for durability and softness. Includes small parts. For children ages 3+. Microwave and dishwasher safe. Made in USA.